Muslim students had long sought to kill Christian student, he says. 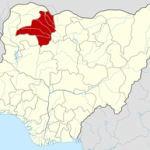 JOS, Nigeria (Morning Star News) – Contrary to the state government version of an attack in northwestern Nigeria last week, a Christian at the school where Muslim students killed eight people said all the victims were Christians. The Christian student told Morning Star News by phone that the Christian student at Abdu Gusau Polytechnic, in Talata Mafara, Zamfara state, who was said to have triggered the Aug. 22 attack by blaspheming the prophet of Islam, was falsely accused. The source, who requested anonymity for security reasons, said he could not reveal the name of the assaulted student in order to protect him from further violence. Published reports do not agree on how the student was removed from the hospital before the assailants arrived. The source who spoke to Morning Star News said only that the attacked student was not in the house that was burned, adding that the charred house is an off-campus residence near the polytechnic that accommodates students. Contrary to Nigerian news reports that the house of a Muslim who helped take the injured student to the hospital was burned, the student told Morning Star News that no other house was burned, and that the man who rescued and took the victim to the hospital was a Christian. His account could not be verified as of this writing. In response to the public outcry over the killings and the threat of religious conflict, Zamfara Gov. Abdul’aziz Yabubakar Yari said last week that all those killed were Muslims. Citing intelligence from security agencies, he said a fight between two students at the school led to one accusing the other of speaking ill of Muhammad, and that other students came and beat the alleged blasphemer, whom he said was either a Muslim or a Christian. “That was how everybody in the house was killed, and all the people killed in the house were Muslims, and not like the rumors going around in the social media that Christians are being killed in Zamfara,” he reportedly said. Other reports claim a Muslim bystander took the injured student to the hospital, with one version saying he only loaned his car to take him, and that the assailants therefore burned his house, killing eight people therein. The Christian student who spoke to Morning Star News refuted these claims. Nigeria’s primary Muslim group, the Jama’atu Nasril Islam, condemned the attacks. A week before the killings, the Anglican bishop of Gusau Diocese had decried persecution that Christians in the state have faced. The Rev. John Garba Danbita told Nigerian newspaper Leadership that Christians cannot freely worship without harassment, and that a previous state administration had seized an Anglican property. “We have nowhere to lay our complaint or report the problem with integrity and rights and privileges in the state as fellow citizens of one Nigeria and in fact the rightful owner of the land,” he told Leadership. He added that in 2011, Emmanuel Anglican Church and its pastor’s house were burned in Tsafe town, and another church was recently demolished. 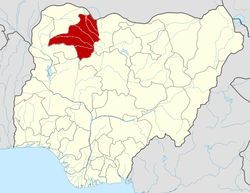 Zamfara in 2000 was the first of nine northern states in Nigeria to institute sharia (Islamic law). Three other northern states have implemented sharia in parts of their states.